Let us know what you think about our products, write a review, or contact us with a question. You may also follow us and receive our latest news and updates on your favorite social media channel. Healthcare Professionals...Clinicians may request up to (3) starter sample kits per year by clicking here: Register and entering your facility name, email and shipping address. Your samples ship within 24 hrs. and arrive within 3 business days. 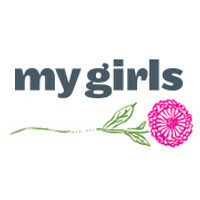 My Girls Retailers...Our local retailers are listed here to help support our customers who prefer to purchase locally: Find A Store you may also suggest a retailer or request wholesaler information below.